What is the expected hourly rate in online poker? - Casino Answers! Casino Answers » Poker » Online Poker Beginner Q&A » What is the expected hourly rate in online poker? Trying to calculate the expected hourly rate in online poker is extremely difficult, as there are so many variables. Variance is of course the obvious factor. You have no idea how good the cards will run for you, and so you could be up five buyins in an hour, or down five buyins. Those are just a few of the many factors that we have to consider when figuring out the hourly rate, and then trying to average it. For example, with two weak players to your left who never defend their blinds you could steal a lot of the time and increase your hourly rate, but if you are in the blinds and have an aggressive player on the right of you then that could decrease the hourly rate. Poker can be a cruel game though and sometimes you just have to wait for it. One hour, two hour and you could be even or at a loss. You could just be getting no good hands in this period. Then in hour three, boom, the good hands just keep on coming and you keep on winning. All of the sudden you are up and up big. You can’t reasonable expect another hour to go like that nor can you expect another hour to go as bad. These things all even out with time. The generally accepted amount is 2 big bets per 100 hands, and if you are a winning player then that should be the amount that you aim to have. Of course, you can make significantly less – even lose on average but still be up when you factor in things like bonuses and loyalty or reward programs. The key thing to keep in mind here is your sample size. You can play one hour, one day and have a huge profit or a huge loss. This isn’t what we’re generally talking about. We’re talking about an hourly rate over a large sample size. They say that ten thousand hands is when a sample size starts to become reliable so focus on that. Once you’ve played that number of hands, you can easily look at your profit/loss numbers and see where you rank on an hourly rate. If you figure that you play an average of 100 hands per hour, just divide that 10,000 hands profit/loss by 100 and you’ll have your hourly rate. 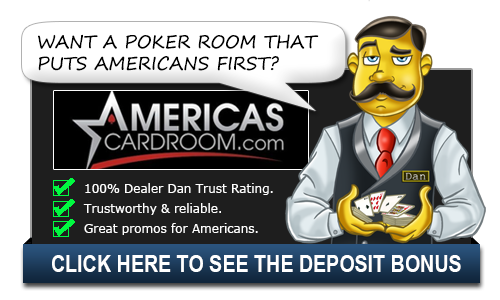 One of the best poker rooms to play at in terms of bonuses, rewards and bad players, especially at low stakes, is Bovada Poker.